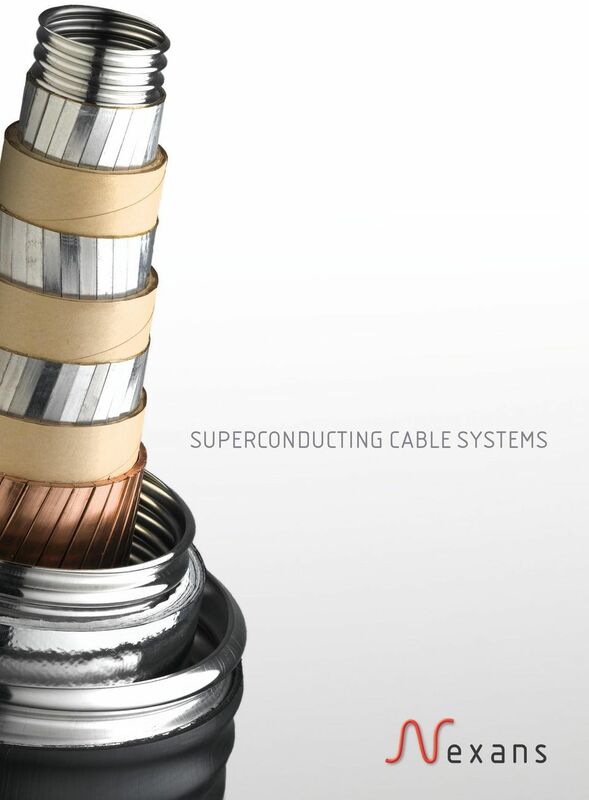 4 CABLE MANUFACTURING Nexans uses its extensive experience in high voltage cables and accessories to manufacture superconducting cables using existing industrial processes. With the same flexibility to meet customer demands for conventional cables, we have adapted existing stranding machines to comply with technical demands of the superconducting material. In cold dielectric cables employing PolyPropylene Laminated Paper (PPLP), the lapped dielectric is designed to fulfil the demands on dry bending properties as well as high voltage insulation once impregnated with liquid nitrogen. Like superconducting tapes the dielectric is stranded on conventional machines. 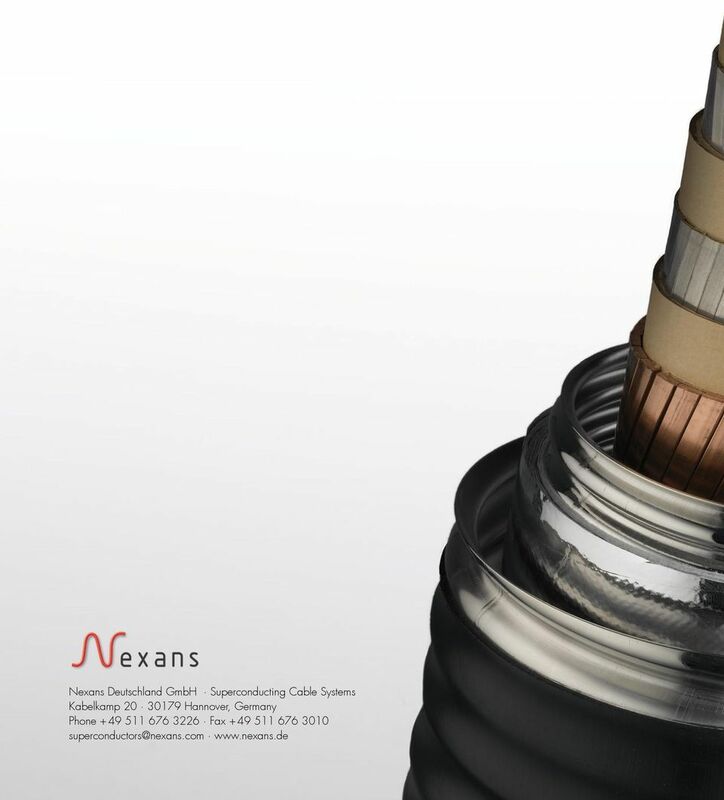 For superconducting cables Nexans is able to produce the cryogenic envelope around the cable core utilizing the UNIWEMA technology. 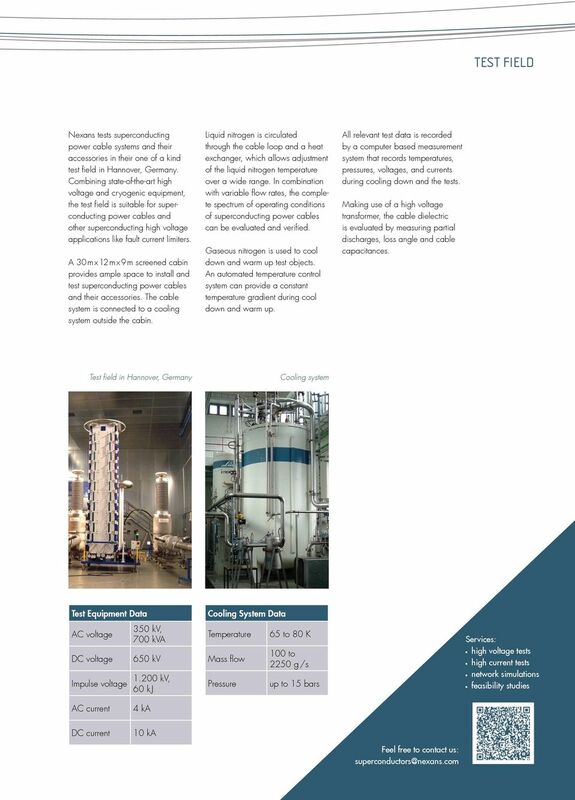 With more than 30 years of experience in cryostat design and manufacturing a long term high quality vacuum can be ensured to prevent thermal losses. 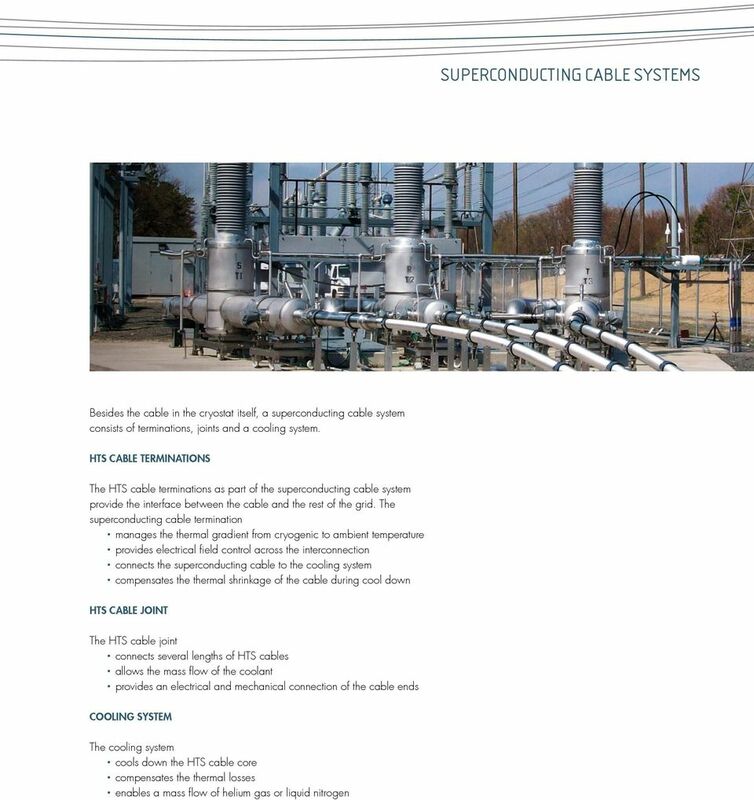 6 BENEFITS OF SUPERCONDUCTING CABLES LOWER VOLTAGES Because of the higher capacity of Very Low Impedance cables (VLI) approximately three to five times higher ampacity than conventional cables utilities may employ lower voltage equipment, avoiding both the electrical (I²R) losses, typical of high current operation, and the capital costs of step up and step down transformers. 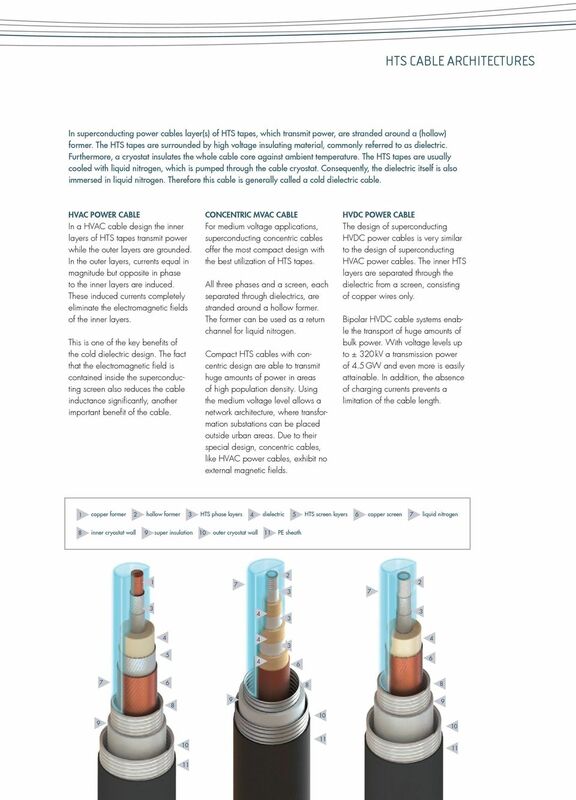 High current VLI cables at 115 kv or even 69 kv may solve problems that would ordinarily require a 230 kv or 345 kv conventional solution. 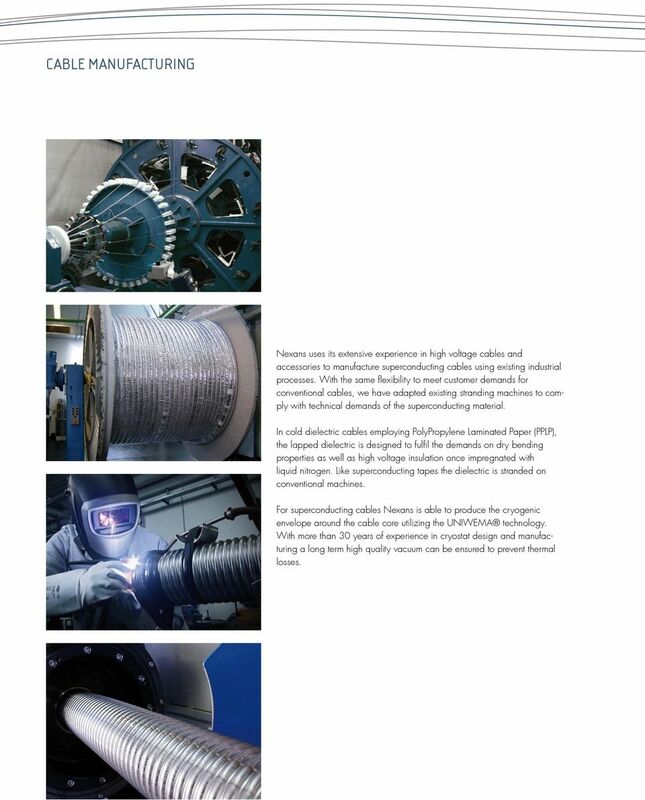 EASIER INSTALLATION HTS cables are actively cooled and thermally independent of the surrounding environment. LIFE EXTENSION AND IMPROVED ASSET UTILIZATION Over time, thermal overload leads to an aging and degrading of the cable insulation. By drawing flow away from overtaxed cables and lines, strategic insertions of VLI cable can take the heat off urban power delivery networks. REDUCED ELECTRICAL LOSSES In optimized designs, lower net energy losses occur in VLI cables than in either conventional lines and cables or unshielded HTS cables with a single conductor per phase, offering a transmission path with high electrical efficiency. 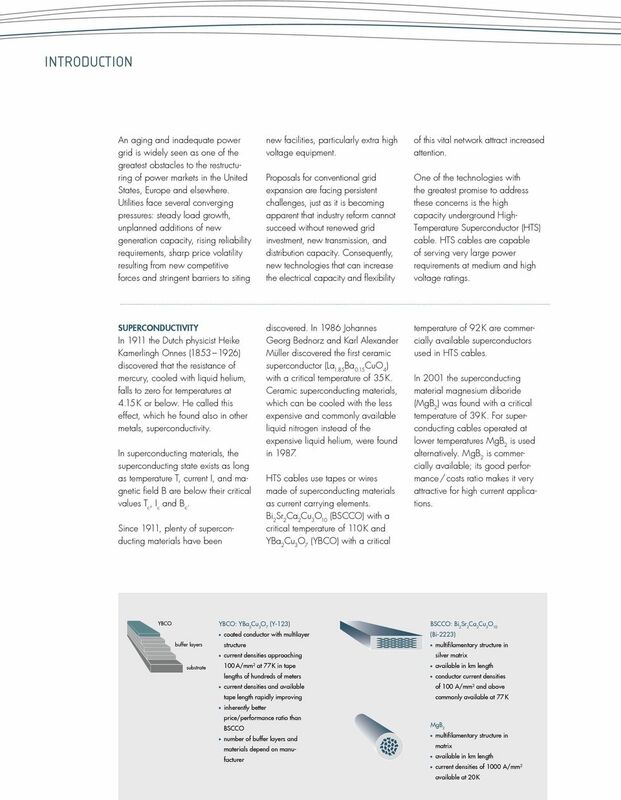 As VLI circuits tend to attract power flow, they will naturally operate at a high capacity factor, reducing the losses on other circuits and further magnifying their efficiency advantage. INDIRECT AND NON-MONETARY SAVINGS In addition to these investment cost savings, VLI cables may entail other advantages. For example, the time to install may be shortened because of reduced siting obstacles associated with compact underground installations and less burdensome siting requirements for lower voltage facilities. VLI cables might be routed through existing, retired underground gas, oil or water pipes, through existing (active or inactive) electrical conduit, along highway or railway rights-of-way, or through other existing corridors. REDUCED REGIONAL CONGESTION COSTS Finally, and perhaps most significantly, the ability to complete grid upgrade projects more quickly will translate into the earlier elimination or relaxation of grid bottlenecks. 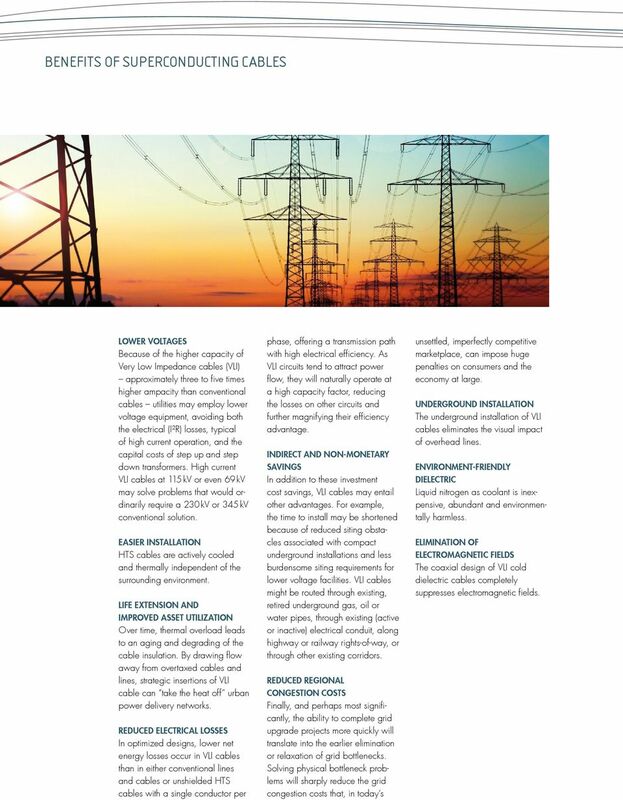 Solving physical bottleneck problems will sharply reduce the grid congestion costs that, in today s unsettled, imperfectly competitive marketplace, can impose huge penalties on consumers and the economy at large. UNDERGROUND INSTALLATION The underground installation of VLI cables eliminates the visual impact of overhead lines. ENVIRONMENT-FRIENDLY DIELECTRIC Liquid nitrogen as coolant is inexpensive, abundant and environmentally harmless. ELIMINATION OF ELECTROMAGNETIC FIELDS The coaxial design of VLI cold dielectric cables completely suppresses electromagnetic fields. Development of HTS Motor - Present Status and Future Prospect - 2008/12/4 Kazuhiko Hayashi Sumitomo Electric Industries, Ltd.
Gulf Cable & Electrical Ind. Co. Precision plays a pivotal role in your cable processing No insulation is too much for our stars Let s connect. WIRE - information. This sheet is to provide information and training about the various types of copper and resistance wires.